This was the beginning of a week-end, the first race that was a good shakeout before going to finish a half-marathon and cheer friends. 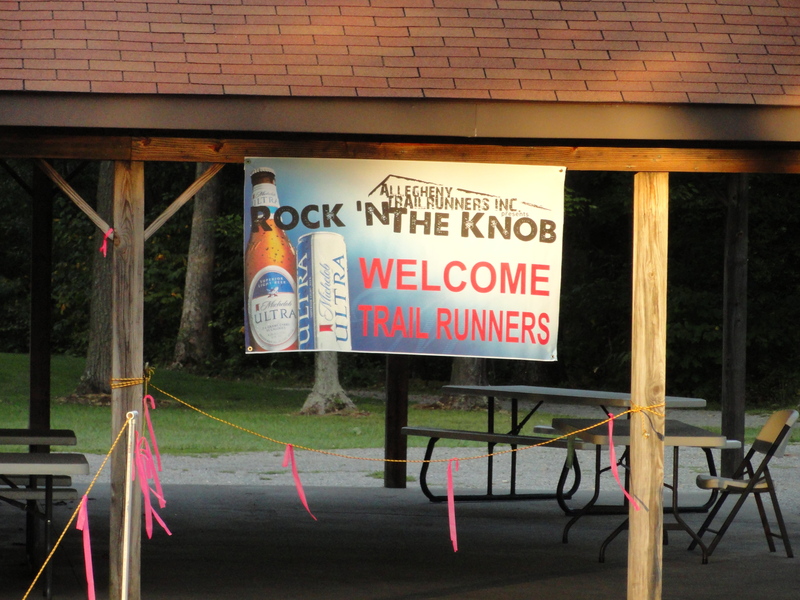 I went to the Rock’n the Knob 5 mile race on Saturday, 13 and … it was a blast! 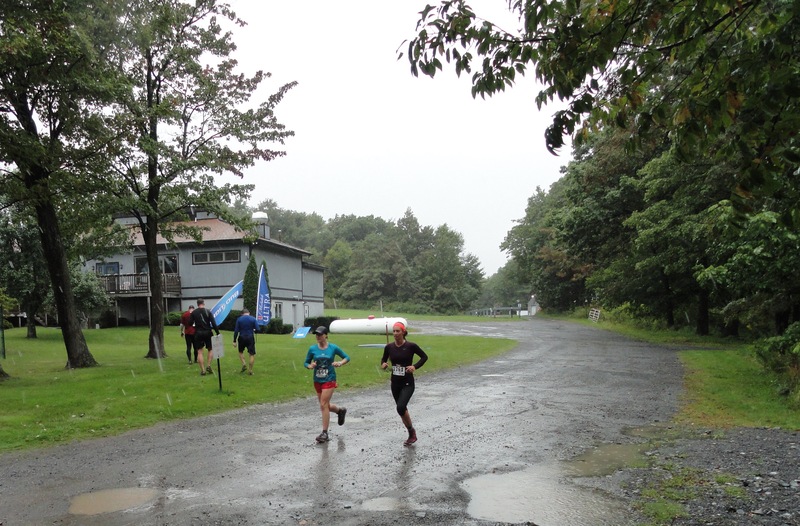 This race is organized by the Allegheny Trailrunners, the same folks that organize the Dirty Kiln. Needless to say, there are putting all the necessary attention and care for making a great event. For $20, you get a great race with scenic views, a tee-shirt, great company and a complete refuel at the finish with the beer brewed for the race! What else could you ask for? If you plan to stay next to the race, you can get a studio located at a walking distance from the start for $50/night. Great deal to make sure you are on time but also get a place to get a shower after your race! The place itself is old but at this price, you do not really care. On the other hand, the food offered by the local bar is not so great and you might want to pack your own food. Typical bar food, nothing to write home about. The race starts at 0930 for the 5miles whereas the 20 miles starts earlier at 0830. You start on the trails on technical and rocky paths. Something that will excite many trail runners but will sound not so appealing to many others. The weather being rainy, it was easy to potential trip and fall so that you have to be careful and watch out where you put you foot. The 5 miles course alternate moderate hills. Around the finish, you go over a ski slope, which is big challenging down hill section. The course is well marked with flags and punk ribbons. I missed some signs but the likelihood you get lost is very low. On the 5 miles option, there was only one aid station (at mile 2), which was more than enough. The 20 miles option has several with snacks and other food. Let’s rest before the race! At the finish, you get an untypical medal (a bottle opener!) and some great company. Also, once you are done, you can replenish with beer (a local brewery – Railroad City – brews a beer for the race – a nice pale ale! ), sandwich, pizza and pastries. This was definitively a great experience. Unfortunately, as I was running the next day, I did not want to overexercise and thus, selected the 5 miles option. Considering all the aspects and the logistics, I will definitively be back next year and make the 20 miles option. The scenic view, the fantastic support from the trail runners community justify going for such a distance. Finishing so quickly was frustrating. I wanted more and continue this beautiful journey. If you are looking to run on trails and never did a race from these folks, check out their next race, Sweat for Vet but also consider running Dirty Kiln or Rock’n the Knob. Fantastic experience guaranteed. Steel City Road Runners finishing strong!